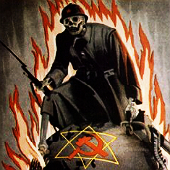 As far as I know, the US government, which was totally on-board with the Holocaust propaganda myth, never acknowledged that any of the ridiculous documents submitted against the Germans after WWII were "forgeries" -- in later reports, however, the US government has confirmed the willingness of Soviet officials to produce document forgeries. First, we must understand what "Active Measures" (активные мероприятия) means. "Active Measures" was the actions of political warfare conducted by USSR secret service (Cheka, OGPU, NKVD, KGB, FSB) to influence world events, in addition to collecting intelligence. Beginning in the 1920s, it was used both abroad and domestically and included "all sorts of forgeries and faked material" (according to former KGB general Oleg Kalugin) as well as propaganda, disinformation, counterfeiting, assasinations, political repression, and other methods. Example forgeries from "Soviet Influence Activities: A Report on Active Measures and Propaganda, 1986 - 87"
Active measures encompass a range of activities, the most important of which include the following: written and oral "disinformation"; forgeries, false rumors; "gray,": unattributed; and "black": falsely attributed propaganda; manipulation and control of foreign media assets, manipulative political action and the use of "agents-of-influence" operations, clandestine radio stations, use of foreign Communist Parties and international front groups for pursuing Soviet foreign policy objectives, support for international revolutionary and terrorist organizations, the so-called national liberation movements, and even political blackmail and kidnaping. One of the major weapons the Soviets have chosen to use in intensifying ideological struggle and advance their foreign policy objectives at the same time is the use of forged documents. The increase of such forgeries in recent years is discussed in detail in the study I am submitting to the subcommittee, but I would like to summarize for you some of the findings of that study because of the scope and magnitude of the current forgeries effort, and because of the subcommittee's expressed interest in the subject. Forgeries have long been a staple tool of Soviet active measures operations. They are produced by Service A of the KGB’s First Chief Directorate. Forgeries attributable to the Soviet bloc can be distinguished from the efforts of individual forgers by the following telltale characteristics. Soviet-produced forgeries commonly use official letterheads of the U.S. government or other organizations, and frequently carry security classifications. An intelligence organization like the KGB is able to procure a great many official forms, letterheads, official signatures, and so on, which can be used to construct a forgery using “cut-and-paste techniques. It is known that the Soviet bloc countries make an assiduous effort to collect such material. The use of security classifications is common because it enhances the believability and sensationalistic appeal of forgeries. Unclassified but “confidential” correspondence between high-ranking or influential individuals has a similar appeal. Soviet forgeries typically surface as copies of the purported documents, not as originals. The use of photocopies makes the job of the forger easier, as it enables him to utilize “cut-and-paste” techniques with official U.S. government or other forms. It also makes it impossible to do a pen and ink analysis of the original. Similarly, Soviet forgeries are often out-of-focus or smaller than full size, which also impedes forensic analysis. ...The question of “who benefits” from the forgery is key. The content of Soviet forgeries is typically such that if they were believed, the targets of the forgery would be inclined to act in a way that is contrary to U.S. interests. Finally, the accusations in Soviet-produced forgeries are often either vague or related to supposedly secret matters, which makes it more difficult for rebuttals by the U.S. government to remove all doubt in the minds of those who may be inclined to be give credence to the forgery. Of course, the above information was procured by the US government for the purpose of exposing anti-American forgeries by the Soviet Union, but it shows us how invested the Soviets were in producing forgeries. Let us consider below some of the "documentary proofs" for the Holocaust repeatedly trundled out for us in the standard literature. We will divide these into two groups: obvious forgeries, documents of questionable authenticity, and, finally, undoubtedly genuine, but deliberately falsely interpreted documents. For decades, it was claimed that the extermination of the Jews was decided at the Wannsee Conference in Berlin of 20 January 1942. Anyone who reads the (alleged) protocol of that conference (17), will discover that it contains no mention of any physical extermination of the Jews, nothing about gas chambers, and speaks only of "evacution" and "resettlement". The orthodox historians, as usual, offer the lazy excuse that these are code words for extermination. Even if this document were genuine, it would in no way constitute proof for any extermination of the Jews, but rather for their deportation, which is not disputed by any revisionist. But the Wannsee Protocol is a rather crude forgery, as shown by several revisionist researchers, in greatest detail by Johannes P. Ney (18). The forgery is proven by absuridities of content (for example grossly exaggerated numbers of Jews living in Europe), as well as formal errors. 30 copies of the Wannsee Protocol are supposed to have been prepared. Of these 30 copies, only 1, the 16th, has survived, quite remarkably, in several different versions, in which SS is written sometimes in runes, and sometimes in normal script. Even the exterminationists are distancing themselves further and further from the Wannsee protocol. In the Canadian Jewish News of 20 January 1992, Israeli Holocaust Specialist Yehuda Bauer, calls the belief that the conference arrived at any decision to exterminate the Jews, a "silly story". According to him, the whole caste of historians just blabbered a silly story for decades, like parrots. The "silly story" also appears in all schoolbooks. - crematoria IV and V: 768 persons each. Note the remarkably un-German-sounding use of the word "persons" in this connection. Much more revealing, however, is the content. As may be seen from the standard literature, for example the work of Raul Hilberg (20), the main crematorium at Auschwitz I possessed 6 muffles; crematoria II and III of Birkenau possessed 15 muffles each; and the Birkenau Kremas IV and V possessed 8 muffles each. This makes a total of 52 muffles. In today's modern crematoria, the burning of one corpse per muffle takes one to one and a half hours (see illustration 1V, the reproduction of a letter from Freiburg crematorium). If one can cremate 4,756 bodies per day in 52 muffles, that would be 95 bodies per day per muffle, which would mean that the crematoria of Auschwitz were around four times faster than modern crematoria! This means that either all the laws of thermodynamics were suspended, or that the letter is a fabrication (presumably from a Communist forgery factory). Irrefutable proof of the falsity of this document has been provided by Carlo Mattogno (21). Another example is document USSR-54, the only forensic report ever introduced into evidence at Nuremberg, where the USSR blamed their own atrocity in the Katyn forest on the "German Fascist Invaders"
For many years forgeries have been a staple of Soviet "active measures." In the post-World War II period, the Soviets and their allies, especially Czechoslovakia and East Germany, have repeatedly distributed false documents to mislead target audiences. In testimony before the Senate Judiciary Committee in 1961, U.S. officials identified 31 documents as communist forgeries.1 A former Czech intelligence officer, Ladislav Bittman, who defected in 1968, has described how forged documents are prepared and disseminated.2 In 1980, the House Select Committee on Intelligence publicized anumber of forgeries which circulated in the 1970s.3 Congressional hearings in 1982 placed additional cases of political forgeries on the record.4 This study examines communist techniques for producing forgeries and a number of fabrications which have come to light in 1982. The Soviets go to considerable effort to collect useful forms, letters, official signatures, and the like as models for their efforts. (Fig. 7 reproduces a forged Department of Defense press release.) While the Soviets produce authentic-looking documents in many cases, there are almost always small discrepancies and mistakes. Government forms and procedures frequently change; for them to be duplicated with total accuracy, a detailed knowledge-difficult for an outsider to achieve-is required. This US State Department report mentions some "Holocaust papers" that are proven forgeries, but it's actually a bogus pamphlet outlining US plans for nuclear war in Europe -- nothing to do with the alleged nazi holocaust. There is nothing new about the use of forged documents in the psychological warfare operations of the Sino-Soviet Bloc intelligence services, especially in pursuit of particular aims within a single country; West Germany, for example, has been flooded with them for years. But the years 1957 and 1958 saw a noticeable increase in internationally distributed propaganda-by-forgery supporting the general Bloc objectives of discrediting the United States and other Western countries and of promoting division in the West. For these two years and the first half of 1959, 18 such forgeries surfaced in facsimile have been discovered, and a number of other instances wherein the text of a purported document was quoted without attempt at reproduction or a document was at least falsely reported to exist makes a total of 32 cases available for study from this period. The Soviet Union's chief cartographer acknowledged today that for the last 50 years the Soviet Union had deliberately falsified virtually all public maps of the country, misplacing rivers and streets, distorting boundaries and omitting geographical features, on orders of the secret police. The falsification of Soviet maps, Mr. Yashchenko told Izvestia, began in the late 1930's when the map-making administration was put under control of the security police, then known as the N.K.V.D. ''Even in the post-Stalin time the distortion of generally available maps continued as a requirement of the work of our administration,'' he said. ''This work became senseless with the appearance of space photography,'' which meant foreign countries could make their own extremely accurate maps from satellite data. ''But nevertheless it continued until this year,'' he said. An FBI report kept secret for 25 years said the Soviet Union "quite likely fabricated" evidence central to the prosecution of John Demjanjuk - a revelation that could help the defense as closing arguments resume Wednesday in the retired Ohio auto worker's Nazi war crimes trial in Germany. From an October 1981 Department of State report on "Active Measures"
Forgeries. Soviet forgeries-completely fabricated or altered versions of actual documents-are produced and circulated to mislead foreign governments, media, and public opinion. Recent Soviet forgeries are better and appear more frequently than in the past. Among forgeries that Soviet agents have produced and distributed are bogus U.S. military manuals and fabricated war plans designed to create tensions between the United States and other countries. In some cases, the Soviets used actual documents passed to the KGB by U.S. Army Sergeant Robert Lee Johnson (who was eventually arrested and convicted as a Soviet agent) as models for style and format in Soviet forgeries. In one case, Soviet agents, seeking to disrupt NATO theater nuclear force modernization, circulated a forged "top secret" letter from Secretary of State Cyrus Vance to another Western foreign minister. The Soviet Union continues to make extensiveuse of ìactive measuresî to achieve its foreignpolicy objectives, to frustrate those of othercountries, and to undermine leadership in manynations. On the basis of the historical record,there is every reason to believe that the Sovietleadership will continue to make heavyinvestments of money and manpower inmeddlesome and disruptive operations aroundthe world. While Soviet "active measures" can be exposed, as they have often been in the past, the Soviets are becoming more sophisticated, especially in forgeries and political influence operations. Unless the targets of Soviet "active measures" take effective action to counter them, these activities will continue to trouble both industrialized and developing countries. The 1983 book "The KGB and Soviet Disinformation" by Ladislav Bittman, retired professor of disinformation at Boston University & former Czechoslovak intelligence officer, has an entire chapter devoted to the topic. Entitled "The Art of Forgery" (chapter 5). An operation designed in the spring of 1964 under the cover name “Neptune” and conducted in cooperation with the KGB became a test case of the new department’s operational skills and imagination. One night during the last week of May 1964, I plunged into Bohemia’s Black Lake and carefully placed four large asphalt-coated cases on the bottom. Several weeks later, the cases were “discovered” by a Czechoslovak television team shooting a documentary film on legends involving the lake. The find was presented to the public as an important set of Nazi archives. It marked the beginning of an extensive disinformation action against West Germany, and it was evaluated in Moscow as one of the most successful operations of that period. Original Nazi documents from Soviet and Czechoslovak archives were presented to the press as documents recovered from the Black Lake and were used in Italy, France, Austria, and West Germany to compromise certain individuals and damage West Germany’s public image. Although the operation did not convince the West European public that the present-day regime in West Germany was a practical and ideological outgrowth of Nazi Germany, it contributed to the decision by the West German government to extend the statute of limitations for the prosecution of war crimes. Under direct Soviet supervision, the Czechoslovak disinformation department during the next few years designed hundreds of games against the United States, improved old deception techniques, and developed new ones. When Ivan I. Agayants, the commanding officer of the Soviet disinformation department, visited Prague in 1965, he congratulated Czech subordinates on their successes and emphasized the need to strengthen coordination among the Warsaw Pact intelligence services. Intelligence analysts in the United States from 1945 to 1980 have traced the origins of 150 fakes planted to harm this country. 7 This is an impressive figure, but it is only a fraction of the total. Many forgeries are undetected because they are not widely circulated but are slipped, instead, into the flow of global communication to deceive governments and individuals without alerting the press. [S]potting a suspicious document can be difficult, since there is usually no direct evidence that a document originates in Eastern Europe. Analysts must rely on such circumstantial evidence as format, content, style, and the usual methods employed by the secret services in the Soviet bloc. To produce forgeries with the “core of reality” typical of the late 1970s requires highly skilled and experienced agents. A fabricator must have firsthand examples of classified documents and stationery of the U.S. government and must follow foolproof handling procedures. (Photostats are often used to improve chances that a forgery will pass as genuine because the typeface is more difficult to analyze). Most important, the pseudodocument must at least appear to reflect American foreign policy. Few organizations in the world possess the necessary knowledge, materials, experience, and infrastructure for covert action to conduct sophisticated forgery operations. The only organizations with obvious malice toward the United States are based in Eastern Europe. There is no reliable evidence that the Soviets have any significant competition in the use of forged documents as vehicles of disinformation or black propaganda. The People’s Republic of China refrains from the tactic, and various leftist organizations, such as the Red Brigades or the Palestine Liberation Organization, simply do not have the resources to produce and disseminate quality forgeries. Operation Neptune was a 1964 disinformation operation by the Czechoslovak secret service, the StB, involving Nazi-era documents. In 1964, the StB publicly claimed to have discovered Nazi-era intelligence files hidden beneath the surface of Černé jezero, a lake in the Šumava, on the border with West Germany. The four chests containing the papers were supposedly discovered during the making of a documentary, in the presence of members of the Western press. In fact the agency itself had placed them there, in collaboration with the KGB. The papers were possibly genuine, although former Czechoslovak spy Josef Frolík described them in his 1975 memoirs as forgeries. However, their apparent discovery was a disinformation operation, the largest conducted by the agency; in fact the papers found in the sunken chests, which had been carefully doctored to appear as if they had been submerged since World War II, were not the real documents, which were only later brought from the Soviet Union. In this article, Wilfried Heink describes large scale fabrications of documents at the end of the war, with the largest forgery operation at a Displaced Persons' camp in Föhrenwald-Wolfratshausen. Further, at IMT, Soviets were allowed to produce photocopies of documents, promising to produce the originals later, which they failed to do. The western Allies had to wait before they could assemble what they deemed to be evidence, since D-Day did not happen until June 6. 1944 and it took them awhile to get to Germany. Nevertheless, they were successful in obtaining hundreds of tons of documents, 485 tons of foreign office documents alone. The document they looked for most diligently was that ordering the killing of the Jews (Prof. Dr. Franz Seidler, “Das Recht in Siegerhand”, p.104). This document has not been found to this day. The search for documents was undertaken only by the prosecution, which is problematic from a legal point of view. The defense was never allowed to search freely for acquitting documentary evidence, had to state what documents they intended to obtain, needed travel permits which were not always granted, etc., etc., Dr. August von Knieriem provides details in his “The Nuremberg Trials”. Also, the defense lawyers were picked by the Allies, meaning that if a lawyer was a (former) member of the National Socialist Party (NSdAP), or sympathetic to National Socialism, he was not considered, thus eliminating all lawyers who were active during the years of National Socialism (Seidler, pp.101/02). National Socialism was a movement of the working class, and many of the so-called intellectuals had shunned it, while some, if not many, had joined the resistance. By calling them to defend former NS dignitaries, one left the door wide open for lawyers who had an axe to grind. Some lawyers refused to participate for fear of repercussions, as the press had unleashed a hate campaign against anything “Nazi”(Seidler, p.102). Thus, the accused were defended by people not free of fear or bias. In fact, when reading through the transcripts it becomes clear that most of the defense lawyers believed what was presented by the prosecution, and just tried to deflect guild from their clients onto others. Documents “…having evidentiary value for our case” were selected, with only the prosecution present and deciding what was of value and what was not. The last part is also telling: from the “…hundreds of tons of enemy documents and records”, only 2 500 were selected and out of those “several hundred” were submitted. The stamp on the document reads: “Declassified, Authority: NWh 968018, By: P Y, NARA Date: 08 + 206” (Georg, Friedrich “Verrat in der Normandie”, S.17). Many researchers have also complained that archives are still locked or inaccessible, among them John Costello and Oleg Tsarev, the latter a former KGB officer (Deadly Illusions), Valentin Falin (Zweite Front. Die Interessenkonflikte in der Anti-Hitler-Koalition), Franz Seidler (Das Recht in Siegerhand), Victor Suvorov (Stalins verhinderter Erstschlag) and many more. The foreign office (AA) documents were only released starting in 1956, following their perusal by a American-English-French Commission (Bohlinger/Ney, “Gutachten zur Frage der Echtheit des sogenannten Wannsee-Protokolls”, pp.6-7). Thus, aside from the fact that documents had been sorted out, some are still not accessible. Why is this? Further we have the well founded suspicion-, and not just suspicion, that documents had been forged. The Displaced Persons’ Camp Föhrenwald-Wolfratshausen housed the largest forgery and photo-montage operation in post war Germany (Ibid, p.p.6, footnote 10). Prof. Dr. Franz Seidler provides some examples of forgeries (pp.152 ff). Thomas E. Mahl, in his “Desperate Deception” also gives examples of the forgeries produced by the Brits to turn the American public against the “Nazis” in order to get America into the war. Now, this was done before WWII, but could not some of those forgeries have been used following the war? One would assume that, because of the one-sidedness and shenanigans, historians would be extra careful before accepting a document as evidence, make sure that an original exists and that the original presented is a true original. Sadly, this is not the case. The victors captured German typewriters, stationary, stamps, etc., etc., making it no great achievement to manufacture a “original”. “THE PRESIDENT: Colonel Pokrovsky, I am sorry to interrupt you but it is not quite clear, on the translation that has come through, whether you have deposited the original of this document and have given it an exhibit number, that is, if it has already been put in. COL. POKROVSKY: All the documents presented by the Soviet Delegation are submitted by us to the Tribunal in Russian and they are then handed for translation to the international translators’ pool, which is charged to serve the Tribunal with translation into all the other languages. This document is referred to by me in precise correspondence with its registration number – our Number USSR-271. THE PRESIDENT: If the original document is not in Russian, it must be deposited with the Tribunal in its original condition. I do not know what the document is. It is about a conference, apparently, and I suppose the original is in German. COL. POKROVSKY: The original document is in German. THE PRESIDENT: If that is so, we would like to see the original in German. COL. POKROVSKY: The photostatic copy of the original document, in the German language, is at present at the disposal of the Tribunal. May I continue? THE PRESIDENT: One moment. Is this the original? COL.POKROVSKY: It is a photostat. THE PRESIDENT: I am afraid that we must’ insist upon having the original. COL. POKROVSKY: The original document is at the disposal of the Soviet Government and, if the Tribunal wishes, it can be sent for and presented to the Tribunal a little later. The photostat is certified. THE PRESIDENT: I am afraid we must have the original documents. After the original documents have been produced and exhibit numbers given to them, they will remain in the hands of the Tribunal. Of course, the subject of the translations is quite a different one, but for the purpose of insuring that we get really genuine evidence we must have the originals deposited with the General Secretary. COL.POKROVSKY: I note the wish of the Tribunal and we shall give instruction for the original documents to be submitted to the Tribunal, although in this case we have followed the established precedent where the Tribunal considers it sufficient to accept the certified photostats. We can submit the original, but we shall have to do it somewhat later, as not all the requisite material is in Nuremberg at the present time. THE PRESIDENT: Yes, so long as you undertake to do it. But I do not think you are right in saying that it is the practice that has been already established, because we have been demanding the production of the original document from the French prosecutors, and they have been produced. documents from which the present photostats were taken. May I now continue? I now continue the quotation…. THE PRESIDENT: Colonel Pokrovsky, I imagine that you will be able to produce tomorrow the originals of the documents which were referred to today. COL. POKROVSKY: I cannot promise that, because not all the originals are here. A considerable part of these documents are unique and consequently not kept in Nuremberg. Here we keep only a certain part of the originals.’ All that I can do is to submit, in the future, the originals at our disposal. Those which we do not have here we shall request the Soviet Government to send over in exchange for the photostats. This we can do. THE PRESIDENT: I think the Tribunal had better adjourn for the purpose of considering this matter. THE PRESIDENT: The Tribunal has considered the matter of the deposition of original documents, and they wish the following procedure to be adopted: In the first place, they want original documents deposited with the General Secretary of the Tribunal, wherever possible. Secondly, where it is impossible for original documents to be deposited, or highly inconvenient, they will accept photostat copies of the original documents, provided that a certificate accompanies the photostat document that it is a true copy of an original document, and that the original is an authentic document, giving the origin of the original document and the place of its present custody. Thirdly, they will accept photostat copies for the present, on the undertaking of counsel that certificates, such as I have indicated, will be furnished as soon as possible. Is that clear, Colonel Pokrovsky? COL.POKROVSKY: I would ask the Tribunal to explain one point to me. Do I understand that the Tribunal only confirms its former decision and practice, which was established in connection with the presentation of the document in evidence by my American and British colleagues, or is it something new that the Tribunal is introducing? I am asking this because a similar document to the one which caused the interruption in my presentation today has already been accepted as a photostat in the same Trial under Exhibit Number USA-95 or Document 2788-PS. Therefore, it is not quite clear to me whether I am dealing with a new decision or with the confirmation of an old practice. THE PRESIDENT: I think what you have stated is true, that this particular document does not appear to have any certificate that it is a true copy. But the Tribunal expects that the United States will produce such a certificate that it is a true copy of an authentic document and will state the origin and the custody of the original document. COL.POKROVSKY: Pray forgive me, but I consider that the question which I wish to elucidate is of equal interest to all the prosecutors. Am I, and with me all the representatives of the Prosecution, to understand the decision of the Tribunal to mean that we are to present supplementary documentation in support of all photostats, including the photostats previously accepted by the Tribunal, or does it only refer to documents which the Soviet Delegation will present in the future? THE PRESIDENT: If a document had been accepted in photostatic form and there has been no certificate that it was a true copy of an authentic document, then such a certificate must be given. And we desire that the certificate should also show that the document was authentic, and the place of its present custody. And that applies equally to all the chief prosecutors. COL., POKROVSKY: Now, I understand that the Tribunal is confirming its former practice which means that we can present a photostat, but that they must be certified and that the originals should be presented whenever possible. Have I understood you correctly? THE PRESIDENT: Yes, we desire originals, if possible. If it is impossible or if it is highly inconvenient, then we will accept photostats. And in the meantime, and for your convenience – because this practice has not been perhaps adequately stated before – we will accept photostat copies without certificate, on your undertaking that you will have the certificate later on. Is that clear? This was about a relatively unimportant document, but the precedent was set. If it was “impossible or…highly inconvenient” to produce the original, a copy would do – but the copy of what, one might ask. Also, how can it even be “impossible” or “inconvenient” to produce an original, if one exists? Thus, even though tons of documents had been confiscated, the prosecution still had to resort to this. At the Frankfurt “Auschwitz Trials” 1963-1965, the judges had to admit in their verdict that the few documents at their disposal referred only to generalities, and that they therefore had to rely almost exclusively on eyewitness testimony. Hundreds of tons of documents and no case for mass murder could be made using any of them. Did the Germans destroy each and every incriminating document? Historians try to make us believe just that. But, if such a mass murder actually happened, would the Germans even have drawn up documents? Just to later have the bother of destroying them, a procedure that would require much work and the involvement of many hands, whom all had to be absolutely trustworthy. Why the Korherr report or the Hoefle telegram, if they referred to Jews that had been murdered? Especially the latter – why tell all how many Jews had been murdered, if that was what happened? There would have been no need to document this. Also, why then the need for the above mentioned Allied document sorting conference? Why the still locked archives? When looking closely at the evidence presented, it becomes clear that no solid case has been made to prove the mass murder of Jews. No substantial evidence is presented, such as reports of investigations by experts in the field of criminal- and forensic investigations. All we are shown is some circumstantial evidence, transport lists, telegrams, excerpts of speeches by dignitaries, bits of diary entries (the Dr. Hans Frank diary is an example [Seidler, pp.150/51]) copies of documents of dubious origin. Do originals exist? No doubt they do, but even if all of the documents presented are genuine, no case for mass murder can be made relying on them. In all cases, eyewitnesses are providing the “real evidence”, and those constitute the weakest link in the evidence chain.